close to Chesil Beach in West Dorset. in the South and the Southwest. the wild 10 years later. It appears to be on the incease. 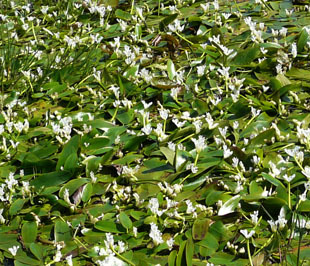 It grows in ponds and lakes and is persistent. to a depth of 2m. 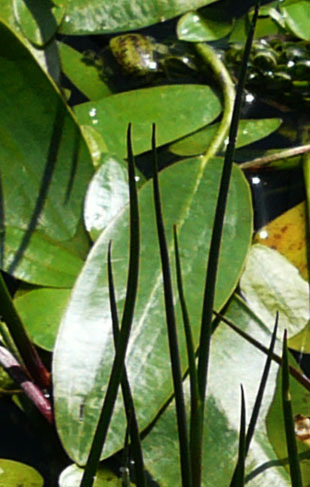 The flowers are in forked spikes on long stems above the water. 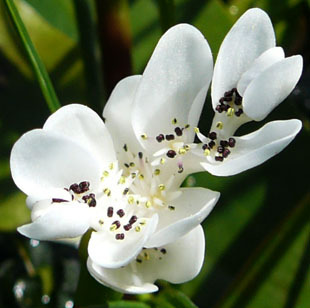 There are up to 10 flowers in a spike of up to 6cm. stamens with purple black anthers and yellow pollen. 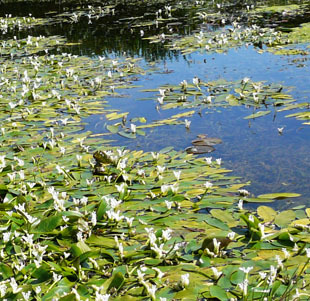 I cannot see on the flowers shown here. 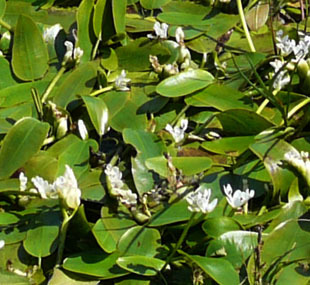 Leaves are floating, oval, up to 25cm and on long petioles.